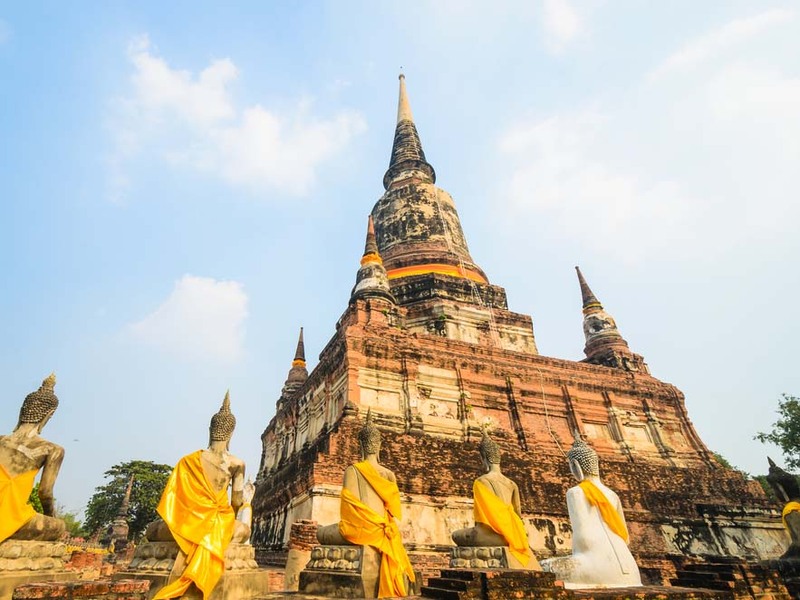 Start your sightseeing tour from Wat Trimitr, renowned for its invaluable Golden Buddha (5 ½ tons of solid gold). Head to Wat Pho, the most extensive temple in Bangkok, with its colossal Reclining Buddha and the Chedis of the Kings. Then take a stroll in Grand Palace, one of the most beautiful samples of an ancient Siamese court, which used to be the residence of the Kings of Thailand. Visit Wat Phra Kaew, which is a royal chapel situated within the walls of the palace, with all the features of a temple except for living quarters for monks. Turn your attention to Wat Arun, one of the best known of Thailand's landmarks. The temple is so named because the first light of the morning reflects off the surface of the temple with pearly iridescence. Enjoy your free time at Khaosan Road, where everything you want can be found. Overnight stay in Bangkok. Head to Bang Pa In Summer Palace, originally built in 1632, to appreciate the perfect combination of various architectural styles with multifaceted and characteristic charm without any disharmony. Wat Yai Chaimongkhol can be seen from afar, which is built by King U-Thong in 1357 A.D. for the use of the monks who had returned from Ceylon after studying under Phra Vanarat Maha Thera. Depart for Kanchanaburi, the famous World War II site, and stay overnight there. 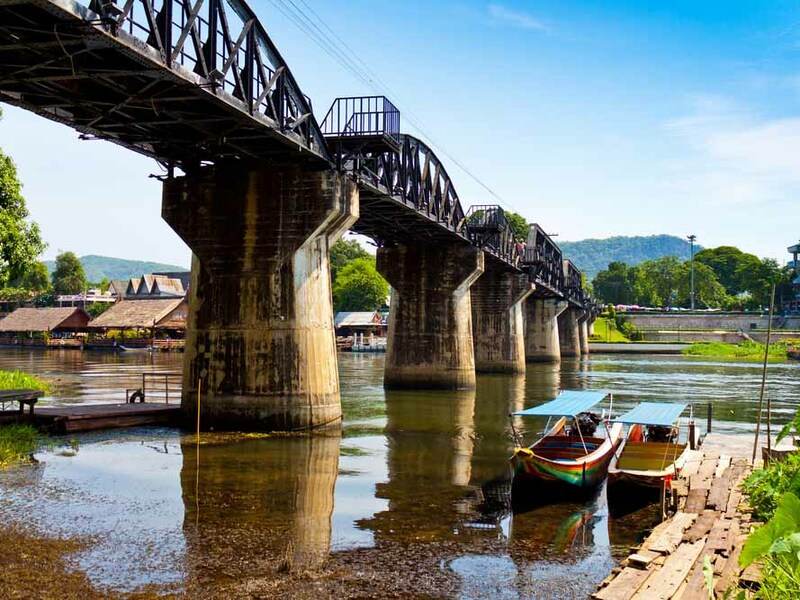 This day is highlighted by the world-famous Bridge Over the River Kwai, where the track is developed into a walkway with side platforms and allows crossing the railway bridge on foot. These platforms are useful as viewpoints and for avoiding trains. A small tourist train runs back and forth across the bridge. Next stop is JEATH War Museum, which is one of two war museums in Thailand about the Death Railway built from 1942 to 1943 by Allied POWs (Prisoners of War) under the direction of the Japanese, a part of the famous Thai-Burma railways. Then back to the hotel and stay overnight in Kanchanaburi. Morning enjoy an excursion in Kanchanaburi. In these beautiful surroundings, dedicated Buddhist monks live with numerous wild animals including ten tigers, which they take for a walk on a leash every afternoon. This is one of the most extraordinary sight you will ever see in Thailand, and probably unique in the world. In such proximity to the tigers, all visitors must exercise caution, and never act in any way that might disturb or or frighten the beasts. Later back to Bangkok and spend your nightlife in Bangkok. Next day start with a visit to Coral Island, Koh Larn (Coral Island) is the largest in Pattaya major attractions include viewing coral reefs from glass-bottomed boats. Enjoy your free time in your third day of Pattaya. Free leisure time on your own on the beach. At afternoon drive back to Bangkok and stay overnight in there. Take the flight to Chiang Mai from Bangkok. Visit Hmong Nong Hoi Mai hilltribe village and The Royal Project. On the way back visit Queen Sirikit Botanic garden and orchid farm. And transfer back to the hotel. Over night stay in Chiang Mai. Drive to Chiang Rai about 3 hours. Visit Chiang Saen, the ancient capital of the Lanna Kingdom and the Golden Triangle, where Thai-Myanmar-Laos meet. At night free at Night Bazaar market, located in the middle of downtown, Chiang Rai. 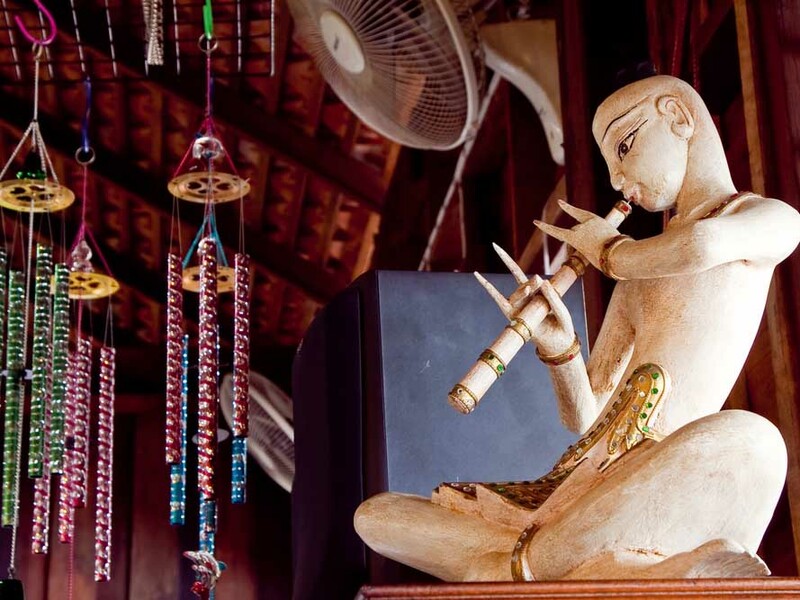 A place for souvenirs and local products, with free cultural performances. Also more than forty restaurants. Next day drive back to Chiang Mai and the rest of the day is free for you to explore the unique charms of this city. Drive to Mae Hong Son, which is located in the Shan Hills, near the border with Burma along the banks of the river Pai. It is a popular jumping-off point for tours to visit hill tribe villages, caves, and waterfalls in the area. Visit Wat Doi Kong Moo, where the view point of the town. An hour boating along Pai River to hill tribe village to visit Padong Long Neck tribal, where the women are famous for their extraordinary practice of stretching their necks with large metal spiral collars. They are know as the Long Neck Tribal. Explore the Fish Cave. Overnight stay in Mae Hong Son. Next day drive back to Chiang Mai and enjoy your free leisure time in Chiang Mai. Free time at leisure by your own till to departure for your next destination.